In 2008, the Secretary of Defense authorized a pilot program called Military Accessions Vital to the National Interest (MAVNI). The goal of the program was to bring individuals fluent in languages the U.S. military considered critical as well as those with health care training, into the Armed Forces. This program was aimed at nonresident legal immigrants who had been living in the United States legally for at least two years and was initiated to enhance military readiness. It brought more than 10,000 people into the ranks during its existence, but MAVNI was frozen in 2016. The Enlistment Qualification Standards for the U.S. Military state, “In order to join the U.S. Military, you must either be a U.S. citizen, or you must be a legal permanent immigrant, physically living in the United States, with a Green Card." And, generally, that remains true—the recruiting manuals make the same statement. But the MAVNI program sought to diversify the military's personnel by altering these standards for certain positions. The aim was to recruit people with needed medical or dental skills and training as well as people with critical foreign language and culture skills. In return for their service, those enlisting through this program were able to apply for U.S. citizenship on an expedited basis. 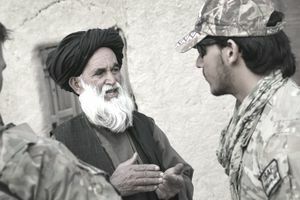 The U.S. Army was the first branch to implement the program in 2009, and the Navy joined the initiative soon after, though as a whole, the Army was the main participating branch of service in MAVNI. Health care professionals who enlisted as officers (the Army is the only service where individuals must enlist first, before attending Officer Candidate School), were required to serve either three years of active duty or six years in the Reserves. Immigrants who enlisted based on their language skills were required to serve for a minimum of four years of active duty. Participants who failed to serve their term of service could lose their citizenship; in fact, citizenship granted as a part of the MAVNI program could possibly be revoked if the person was separated from the Armed Forces under other than honorable conditions before the five-year mark. In 2012 the MAVNI program was renewed, expanded and extended again in 2014. In 2016, after implementing more stringent background check requirements, the Obama administration froze the program, leaving several thousand recruits without any way to advance. The terms of the MAVNI program required participants to begin boot camp within three years of their enlistment. Most of the last batch of MAVNI recruits timed out of the service while awaiting the background check process to be completed. In 2018 under the Trump administration, the Army began discharging soldiers who had enlisted under the MAVNI program. Most were reportedly not given notice of why they were being discharged, but their citizenship status was jeopardized as a result. Many of them had served honorably in Afghanistan, Iraq and other locations around the world. As of January 2019, the program remains closed and there do not appear to be any plans for its revival.